Hello there! 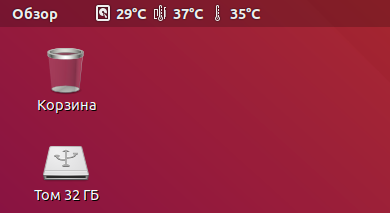 I want see temperature from my cpu, gpu and hard drive. How can I do this? Is there an extension that can do this and will not drop the graphics subsystem every couple of minutes? I found it! Go ahead! Choose yes or no depends on what you wish. I pressed several times Enter and all worked right. If you haven`t install nvidia-drivers or lm-sensors then you can see only hard drive temperature! So install them first. 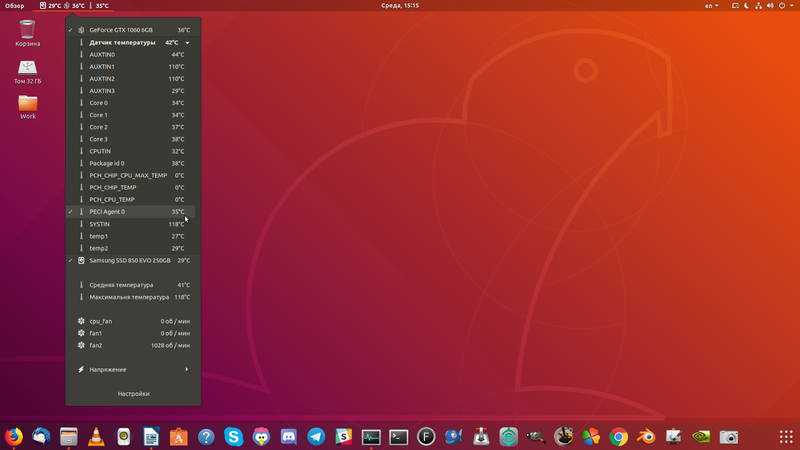 Small notice: PECI Agent 0 — it is average temperature from all CPU cores. If you don`t need many indicators from each core, select him — that`s a really good choice.